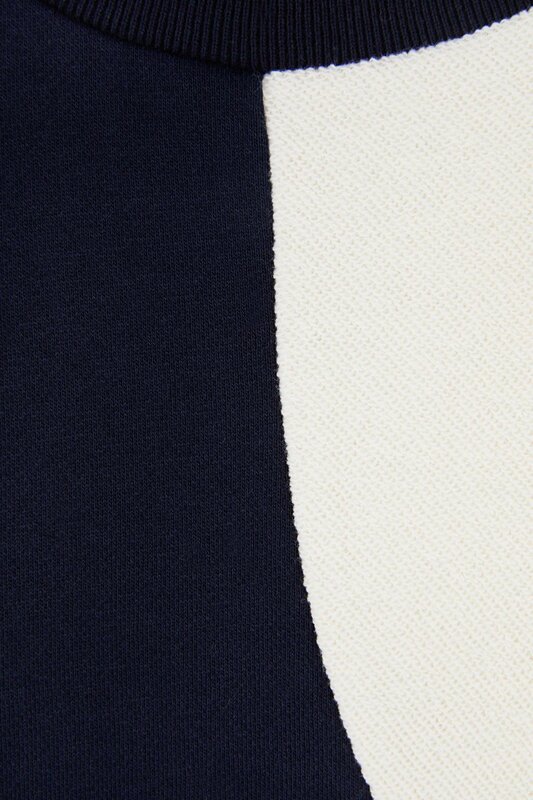 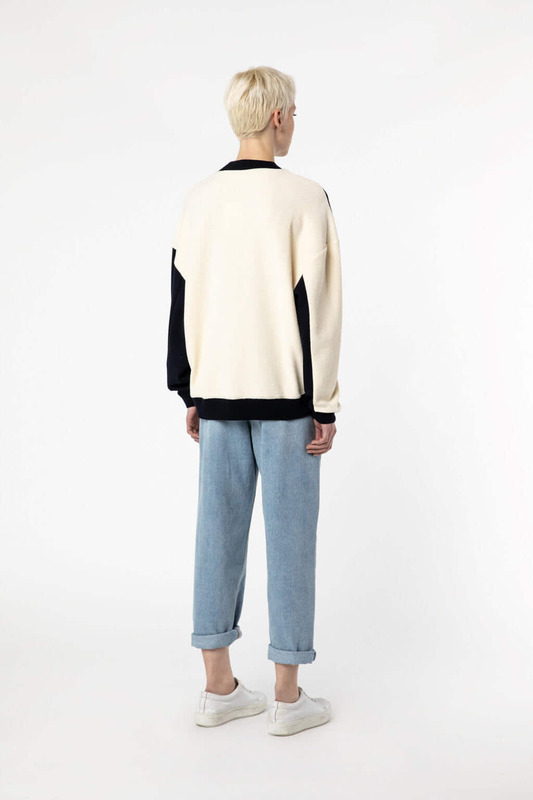 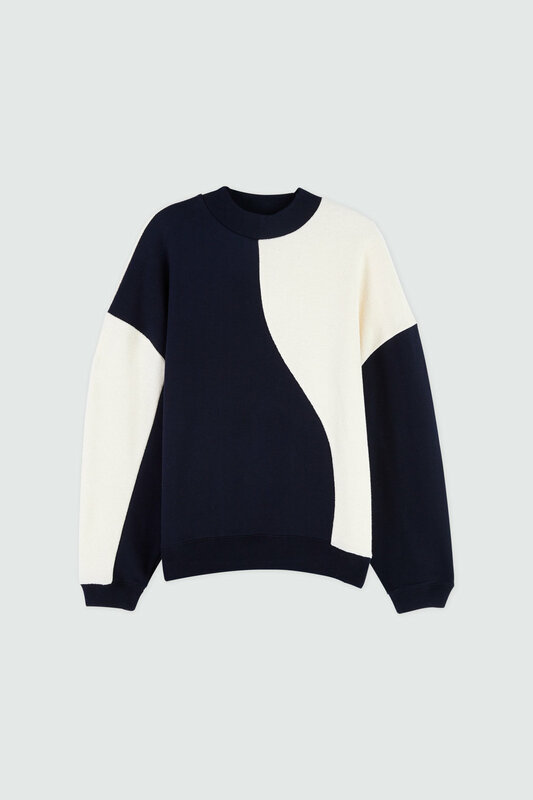 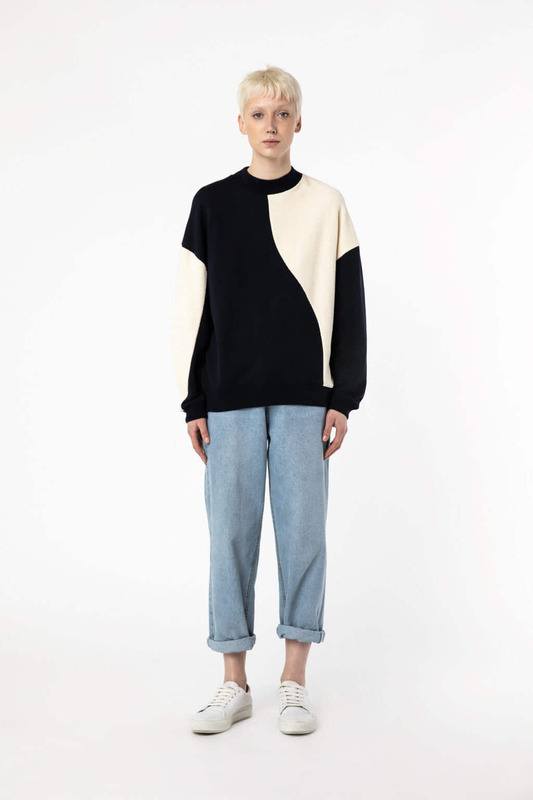 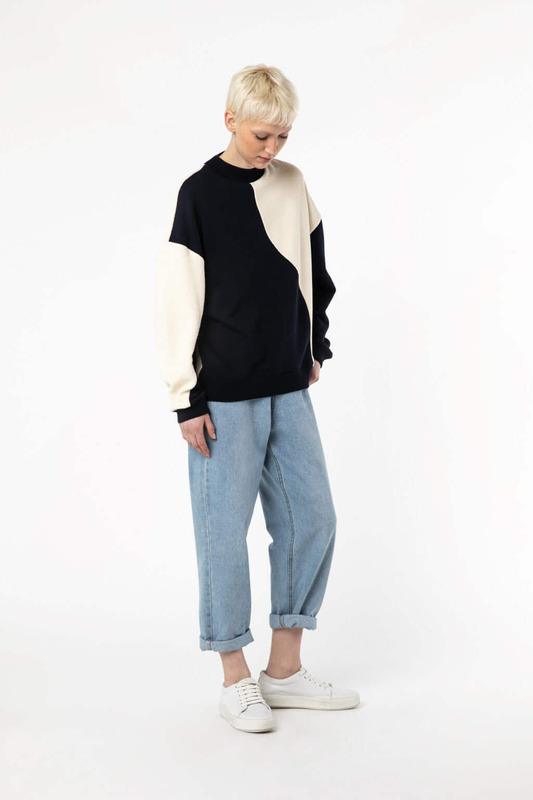 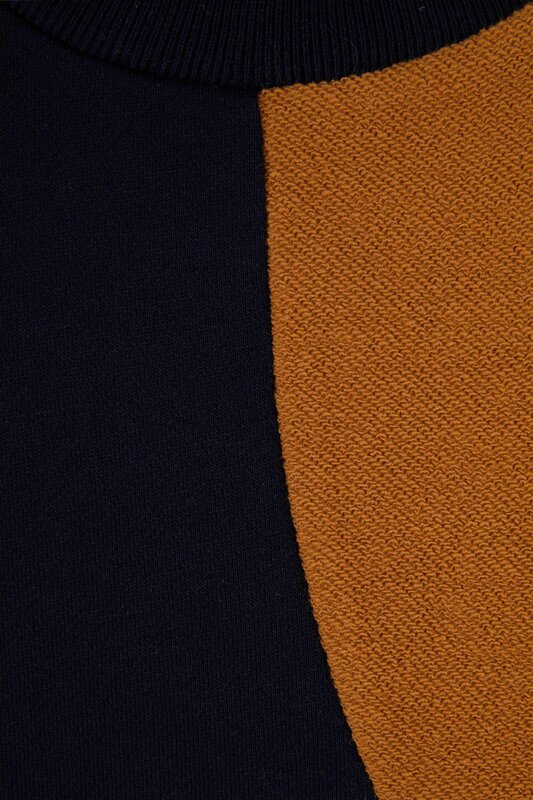 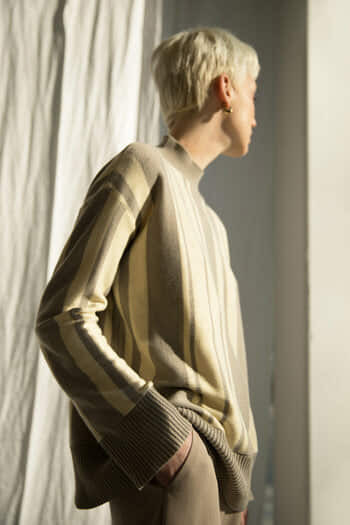 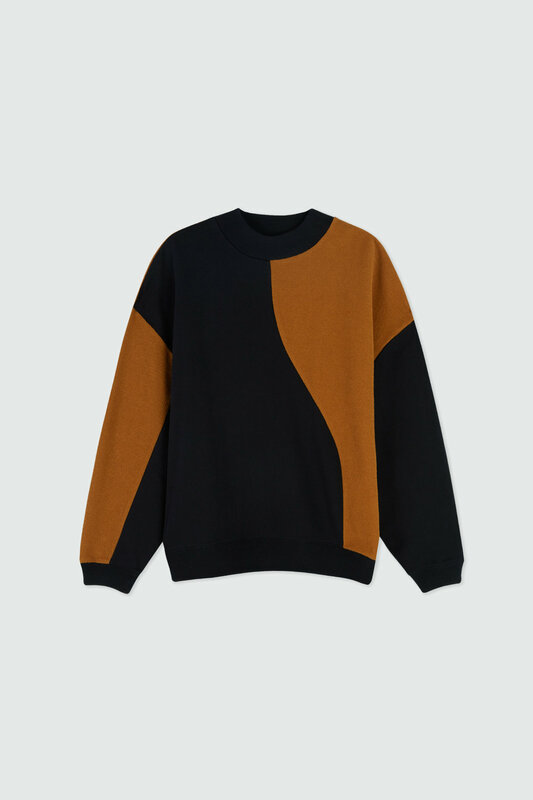 Cut from a midweight cotton blend, this two-tone sweatshirt features an abstract paneled design, ribbed trims and dropped shoulders to highlight the oversized fit. 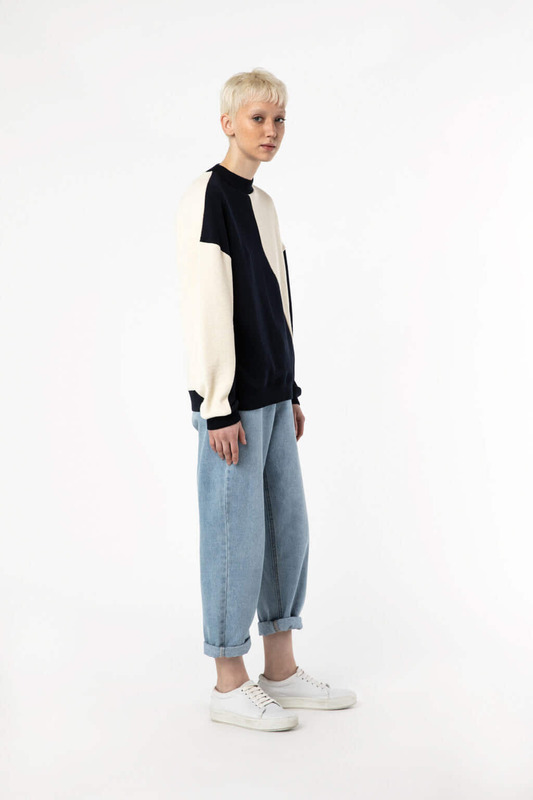 A casual piece that can be worn with any bottoms from joggers, trousers to distressed jeans. 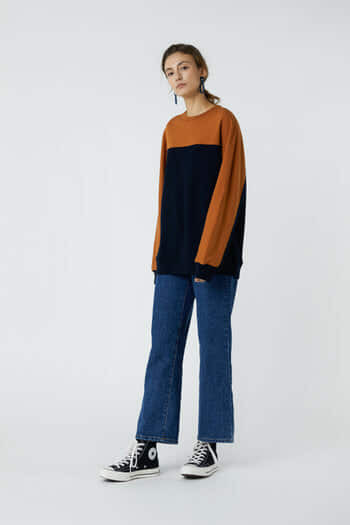 Our stylist suggests sizing down for a less oversized look.